Health care consumers and employers in the Northeastern U.S. have a unique tool for evaluating the region’s hospitals and managed care plans: the New York State Health Accountability Foundation’s Regional Health Care Report Card. The report card provides data on the cost and quality of care received by members of commercial managed care plans in New York, New Jersey, Rhode Island, Connecticut, and Vermont, as well as the quality of care, mortality rates, length of stay and cost of care provided to hospital patients in these states. 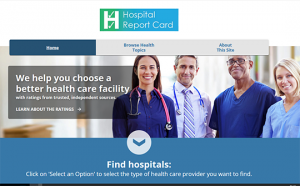 Available at www.AboutHealthQuality.org, the report card is interactive and searchable by county, enabling consumers and businesses to create customized reports on their local hospitals and health plans. IPRO and the New York Business Group on Health are founding partners of the New York State Health Accountability Foundation. The Foundation is a private-public partnership dedicated to promoting transparency in the health care system and is directed by an Advisory Council of major New York-area employers. Managed care measures are grouped within the categories of Appropriate Care, Customer Satisfaction, Diabetes, Medical Care, Mental Health, Ongoing Care, Provider Network, Staying Healthy, Youth Care and Youth Wellness. Individual and family premiums for standardized HMO plans are included, where available. For New York and New Jersey, the report card gives the percentage of each health plan’s members who are satisfied with their physician. Hospital performance is reported in a number of ways, including Appropriate Care, Heart Care, Mother/Baby, Other Conditions, Other Procedures, Patient Safety and Patient Experience/Satisfaction. Mortality rates are given, as well as hospital performance on process of care measures and characteristics of hospital care such as length of stay. The report also provides composite scores for heart attack, heart failure, pneumonia and surgical infection prevention, as well as Medicare reimbursement rates and average “self-pay” charges for selected conditions and procedures. The report card includes, for the first time, hospital experience/satisfaction data and performance on patient safety indicators. New York’s HMOs are above the national average on 28 of 41 measures where nationwide comparisons exist. For New Jersey, where 19 measures can be compared to the national metric, the state’s HMOs exceed the national average on 10 of these 19. Commercial HMOs in Vermont are above the regional average on 32 of 38 nationally recognized quality standards. In terms of inpatient hospital care for Medicare beneficiaries, New York’s hospital performance is better than the national average on 18 of 21 individual measures, while hospitals in Connecticut and Vermont are above the national average for 17 of 21 measures of quality. New Jersey and Rhode Island are above the national average on all 21 measures. Findings for patient experience/satisfaction with hospital care tell a different story: acute care hospitals in New York and New Jersey perform below the national average on all 10 experience/satisfaction measures. On the other hand, Rhode Island hospitals perform above the national average on three of 10 measures and Vermont hospitals are above the national average on nine of 10 measures. Premiums for standardized HMO plans vary dramatically. Individual premiums in New York counties range from $602 a month to $1,751 a month. Standard family premiums in New Jersey range from $1,949 to $4,718. Medicare payments to the region’s hospitals also vary sharply. The amount Medicare reimburses hospitals in the Bronx for gall bladder surgery, for example, ranges from $7,496 to $14,005. 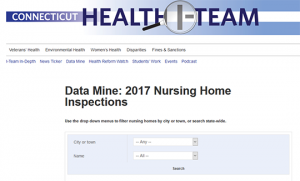 HMO quality data in the New York Regional Health Care Report Card consist of independently validated performance measurements submitted by all commercial HMOs to State governments. National comparison data are from the National Committee for Quality Assurance’s (NCQA) Quality CompassTM database. Data used in this report represent HMO performance in 2006 – the most recent year for which validated data are available. HMO premium data are also produced by each State’s government. Hospital performance and patient satisfaction data are from the federal Hospital Compare database, and are from 2007. Developed by a voluntary, public-private partnership of the U.S. Centers for Medicare & Medicaid Services (CMS) and national hospital and consumer organizations, Hospital Compare is based on data voluntarily submitted by nearly all of the nation’s hospitals. Thirty-day mortality rates are from Hospital Compare, while inpatient mortality was calculated from state administrative databases using the Agency for Healthcare Research and Quality (AHRQ) Inpatient Quality Indicator methodology and 3M risk-adjustment model. Leapfrog Group data are derived from data submitted by hospitals in 2008. Patient safety indicator findings are from 2007 and rely on methodology developed by AHRQ. Hospital-specific Medicare cost information is based on average payments for given treatments and procedures. Charges represent average “list prices” billed to self-paying patients only. IPRO, an independent organization that evaluates and works to improve the quality of health care services, and the New York Business Group on Health, New York’s leading business coalition for health policy and information, are founding sponsors of the New York State Health Accountability Foundation. The Foundation was started with grants from the New York State Department of Health and New York State Legislature, and is guided by an Employer Advisory Council including representatives of The Bank of New York, The City of New York and the CBS Corporation.